Lettuce and Pomegranate. The narrow, airy plants rise up suddenly in late summer, making them great replacements for early season bloomers. 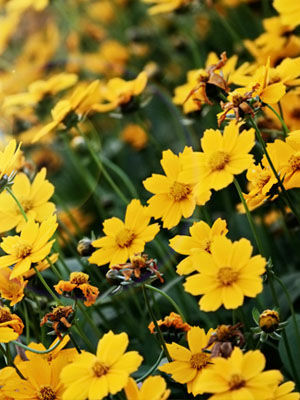 Annual coreopsis is an excellent flower to grow in wildflower meadows. Be patient with this wildflower, which blooms in late summer and autumn. Plants will reseed themselves with a little encouragement.